Postal workers contend that moving a sorting machine to New Hampshire will slow deliveries and lead to service reductions in southern Maine. Postal workers in the Scarborough Distribution Center claim that the U.S. 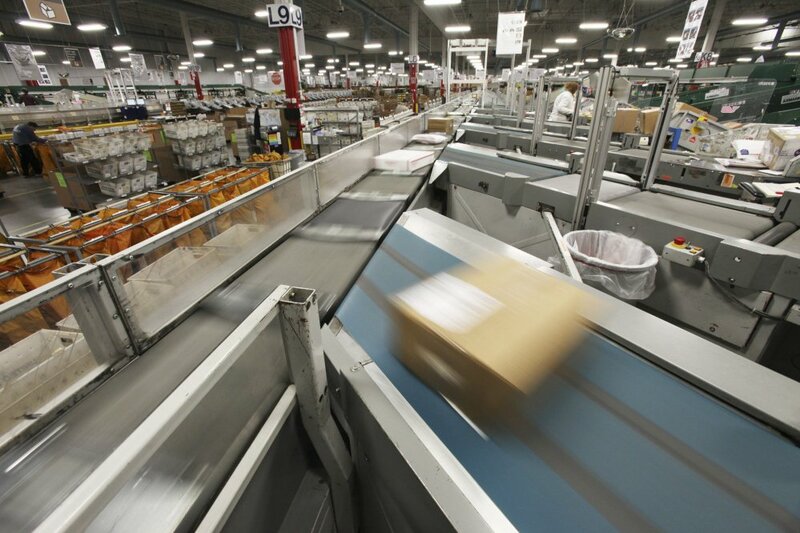 Postal Service’s decision to relocate one of the facility’s Automated Parcel Bundle Sorters to Nashua, New Hampshire, will result in delayed mail deliveries and reduced service throughout southern Maine. Scott Adams, president of Local 458 of the American Postal Workers Union asked U.S. Sen. Angus King in a letter June 27 to intervene on the union’s behalf and ask the postmaster general to delay removing the machine. It could not be determined Thursday evening whether work to move the machine has started. King sent a letter, dated June 28, to Postmaster General Megan Brennan in which he lays out his concerns about relocating the machine, which sorts outgoing priority mail in Maine and outgoing first class parcels sent from southern Maine. “My concern is that such a move would result in delayed mail and reduced service standards, particularly during peak season. Such a course of action cannot but raise the possibility of difficulty for Maine businesses who have come to rely upon USPS for vital delivery and customer satisfaction services,” King wrote. King raised another concern in the letter – that delivery standards including first class next-day delivery from Scarborough will no longer be an option. King said that would result in extra charges for priority overnight shipping for customers seeking fast delivery. Adams said in his letter to King that work to remove the machine was scheduled to begin June 29. Adams could not be reached for comment, and postal service spokesman Steve Doherty is on vacation and could not be reached. None of the correspondence between Adams, King and the postal service indicated that any jobs would be lost in Scarborough when the machine is moved. King’s office did receive an initial response from the postal service’s government liaison, Scott R. Slusher, earlier this month. Slusher said the postal service was moving forward with its plan to relocate the machine to Nashua. Any workforce reductions would have to be accomplished through attrition, Slusher told King.